As you probably know, a computer running Windows may easily be turned into a Wi-Fi hotspot that other devices can use to access the Internet (How to use your Windows 10 as a Wi-Fi Hotspot). However, there are no efficient means to remove this hotspot on Windows 10 if it is no longer necessary. Microsoft has not provided them. 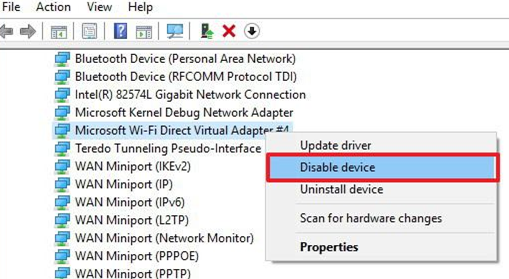 Then open the Device Manager (Devmgmt.msc), find Microsoft Wi-Fi Direct Virtual Adapter in the Network adapters section and select Disable Device and/or delete (Delete) the device in the context menu. 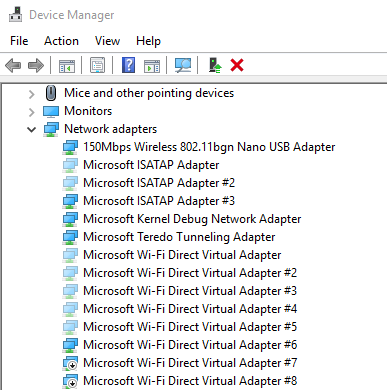 However, the problem is that after the computer restarts, Microsoft Wi-Fi adapter appears in the list of network cards again. If the virtual Wi-Fi adapter is disabled like this, it still stays in the system. If a new hotspot is created, a new virtual adapter with an ordinal index will appear in the system (Microsoft Wi-Fi Direct Virtual Adapter #2, Microsoft WiFi Direct Virtual Adapter #3, Microsoft Virtual WiFi Miniport Adapter #4, etc. ), and it will use the configuration of the old hotspot. Thus, there may be several virtual adapters in the system, and only one of them is active. 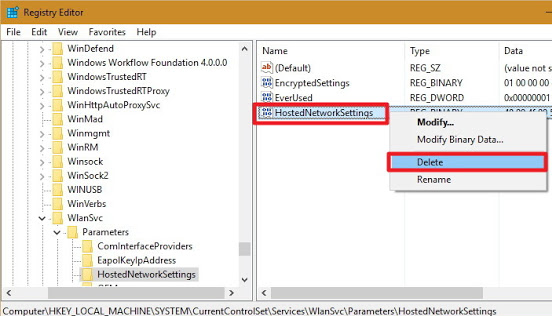 The settings of the Wi-Fi hotspot are stored in the registry, so to remove them you must in the registry key HKLM\System\CurrentControlSet\Services\WlanSvc \ Parameters\HostedNetworkSettings remove HostedNetworkSettings DWORD parameter. Restart your computer. After the restart, make sure that the settings of the hosted network have been reset. 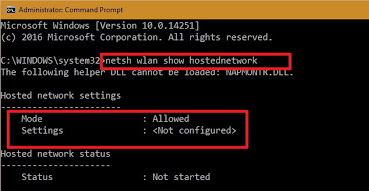 “Not configured” value must be specified in the Settings field of the Hosted network settings section. There is another problem with Intel WLAN adapters. If Intel My WiFi Technology module (as a rule, it is installed together with Intel PROSet/Wireless driver package) is installed, 2 Microsoft Virtual WiFi Miniport adapters may be present in the system, which cannot be removed. 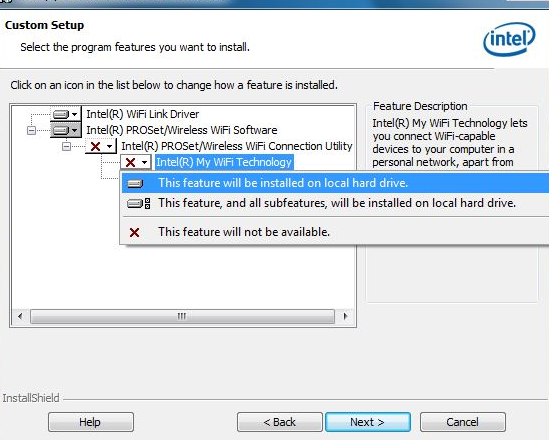 In this case, find Intel PROSet/Wireless in the list of the installed software in the Control Panel, change it and uninstall Intel My WiFi Technology feature. After that, one of the virtual network adapters will disappear. The second one can be removed using the method described above. I did everything that stands there to remove the Virtual Adapter, but they don’t go away. The “not configured” even stands there and I have no clue what else I could forgot. Do you have any idea, why it doesn’t work? 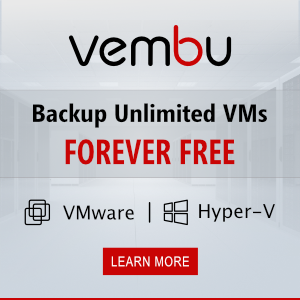 I had the same issue but the next time I disabled the one Virtual Adapter that kept coming back (the active culprit) and disabled it only at first then ran the registry command then restarted and checked with the netsh command. Afterwards I went back into Device Manager and then uninstalled the disabled virtual adapter then had device manager check for changes to see if it would come back and it showed back with a yellow triangle then soon disappeared for good on its own a few secs later. Take that back, I forgot I didn’t have device manager show hidden after I restarted and sure enough two Virtual Adapters are still there.